Australia. Referred to by our tourism administration as ‘The Sunburnt Country’, referred to by fellow Australians as ‘Australia’. Australia contains more than just cute fuzzy wildlife and cricket champions- it contains the great city of Melbourne; which incidentally is where I live. Think of Melbourne as a less-famous version of the more well-known Sydney; the difference is that Melbourne does not have a ghastly white pointy monstrosity where opera is supposedly performed. 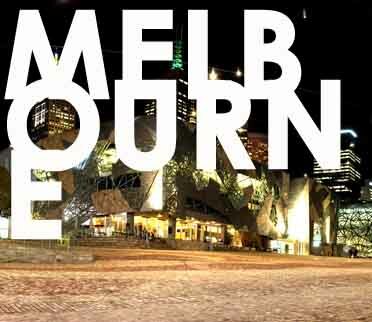 Instead it contains all the culture of Australia, the film industry, amazing art galleries, literature… the list goes on. However, somewhere, we lost music. Melbourne has produced in the past musical legends such as Men at Work (Down Under), Skyhooks (Horror Movie) and the locally famous Daddy Cool whose 70s hit ‘Eagle Rock’ still remains a popular drunk-sing-along tune in the parties of today. But what are we doing now that 2010 has rolled along? Unfortunately, now that The Avalanches’ fame has died out after the indescribably amazing hit Frontier Psychiatrist, The Living End moved onto a less daring and more profit-safe sound and the consistently brilliant Cat Empire are pushed into the underground cult fan scene; Melbourne is left with no hit bands worth a mention. But the real tragedy of Melbourne’s situation is in the upcoming ‘talent’. Every Battle of the Bands can now be more likened to a side-fringe hair competition, with more angsty teens trying to form mosh pits than you can poke a My Chemical Romance CD at. The amount of vocal-cord shattering, eardrum bleeding screamo bands in the city is more tragic than the lyrics that the bands themselves scream. Sydney has taken the lead in Aussie music with Electro-punk acts The Presets, and the upcoming Cassette Kids. However there is still hope for the beloved Melbourne: Techno-clubbers enjoy The Edgy and The Prince clubs as places to do the ‘Melbourne shuffle’ to The Bloody Beetroots’ ‘Warp 1.9’ on repeat. The Hardstyle Trance scene in the city is notoriously conjoined with the Melbourne-exclusive social stereotype ‘Muzza’, a phenomenon that- (like the hideous architecture of Federation Square) has to be seen to be believed. Alt. rockers can take refuge in The Ding Dong Lounge, Revolver and Nighthawk, where Melbourne’s musical saviours; bands like Vixia, Johnny Rock and the Limits and The Solomons fight with their backs against the wall to fend off the hordes of emo sympathizers, wannabe Cannibal Corpse-esque Death Metal bands and Melbourne-Shuffling Muzzas. They bring rock with tangible melodies and at the very least – remotely understandable lyrics – back to the locally deprived fans. Melbourne music may yet rise again. Want to write a View From article about your home town’s music scene? Email contributions@anewbandaday.com and let us know! Posted on January 6, 2010 by Joe Sparrow. This entry was posted in Featured, Headline, The View From... and tagged australia. Bookmark the permalink.